With the arrival of autumn, I developed a taste for warm colours. 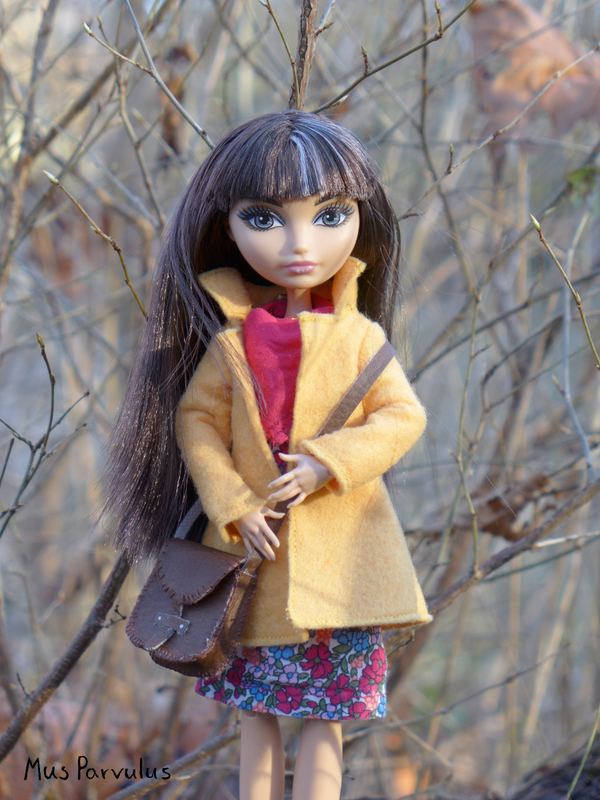 Combined with the desire to sew something that would complement Cerise Hood’s beauty, a whole set of tiny autumn clothes was brought into being. That, of course, was a few weeks ago, but it has taken this long for my colds to subside and for the weather to stop being wet, muddy, grey and altogether uncooperative. I have strayed slightly from the original. I used felt and instead of properly hemming anything, I only added a purely decorative stitch at the edges – I find that felt doesn’t really fray. 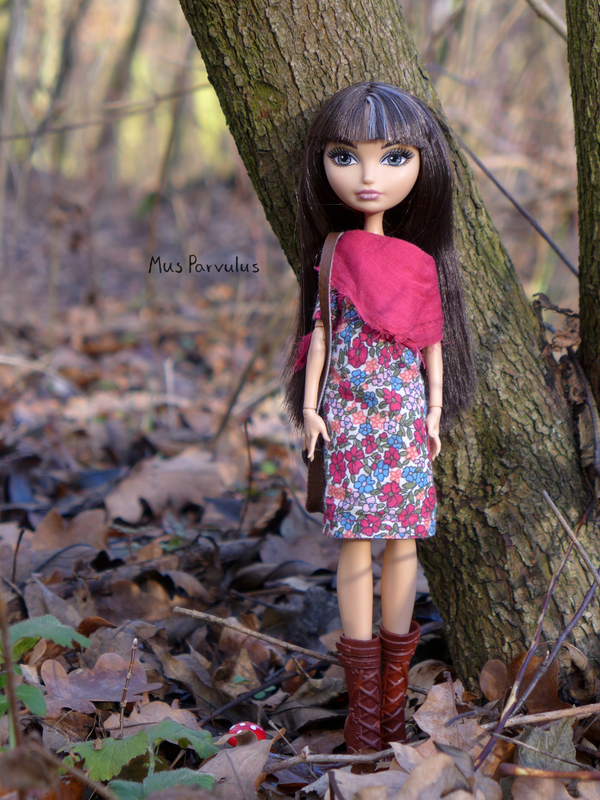 The dress was also sewn especially for Cerise and intended to go with the coat. 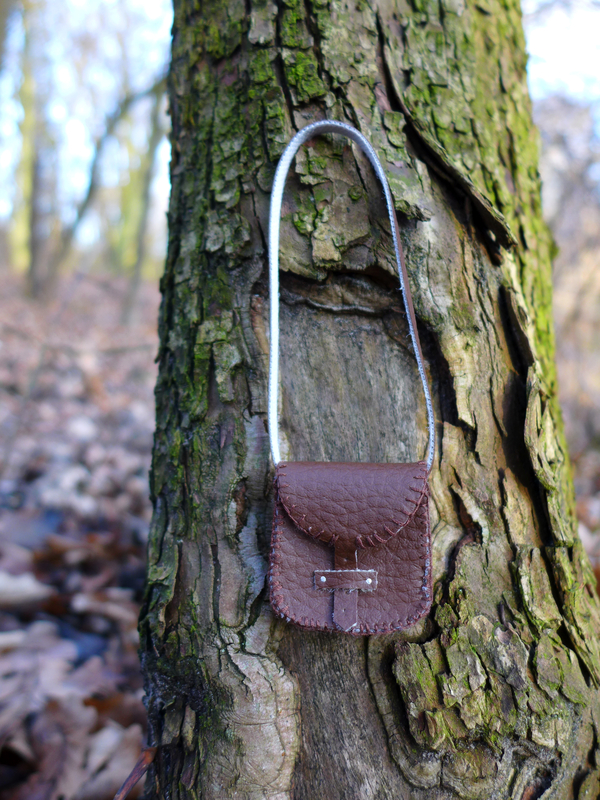 If you were to hold it in your hand you would know that it has some shortcomings, but I am satisfied with this creation. 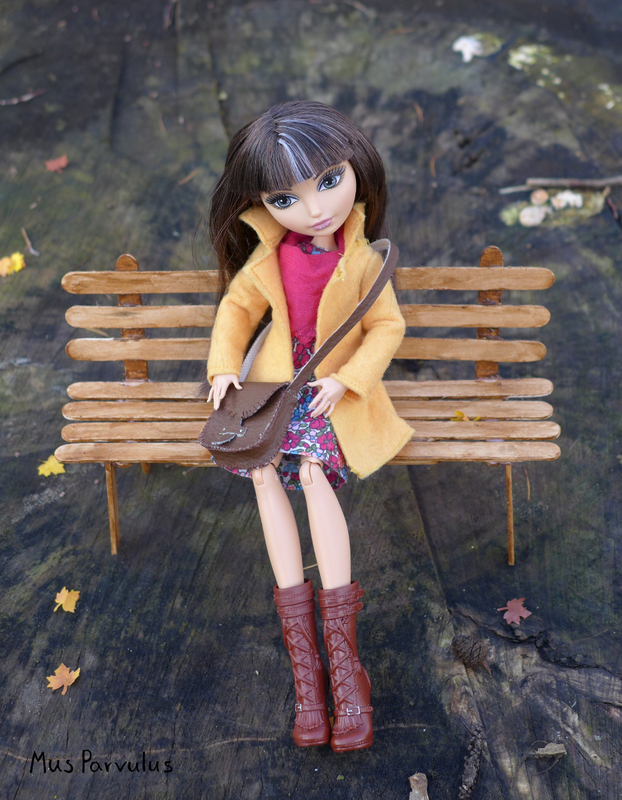 I believe that it fits Cerise in colour and style – it accentuates her charm by being girly yet simple and earthy. I really wanted something like this for her. 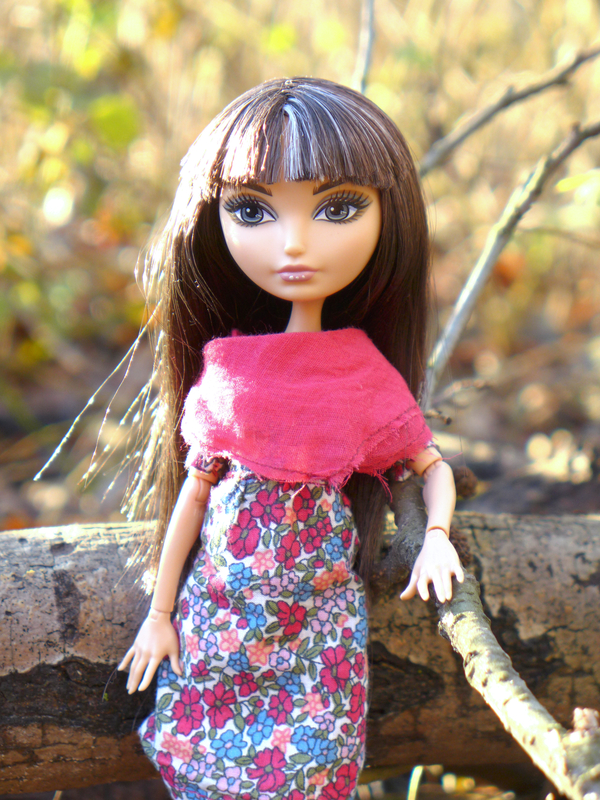 Given the season, I gave Cerise a scarf. This one – just like the real ones, coincidentally – is nothing but a square of hemmed fabric.The only difference being that this one wasn’t as shamelessly overpriced for what it is. Finally, the bench is also my creation (but again, not my idea when it comes to the crafting procedure). 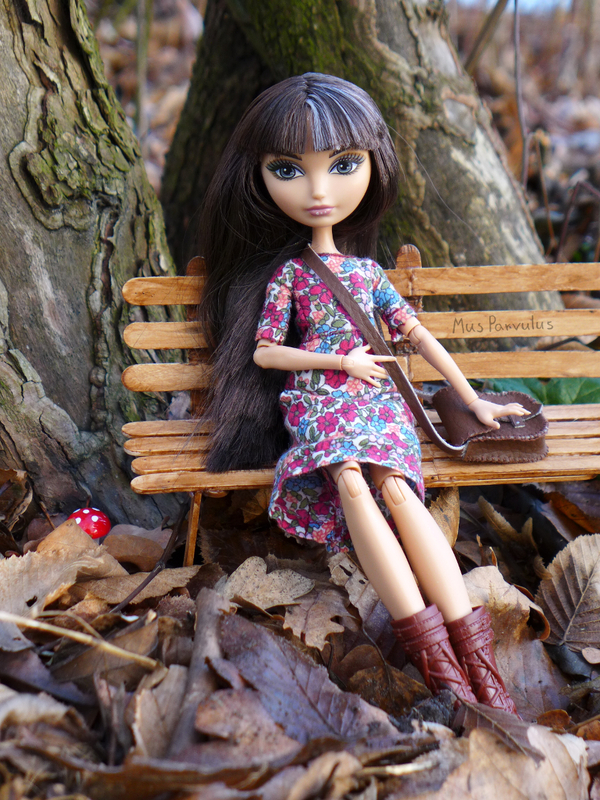 When you’re taking photos of dolls, almost everything is out of scale, even the blades of grass. 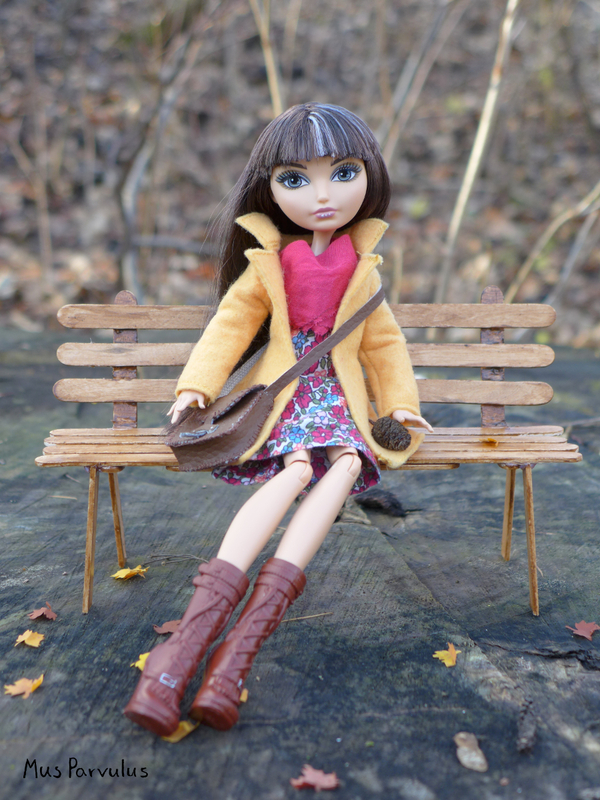 It helps to have a prop – like this bench – to reinforce the illusion that the doll is in a world of her own size. 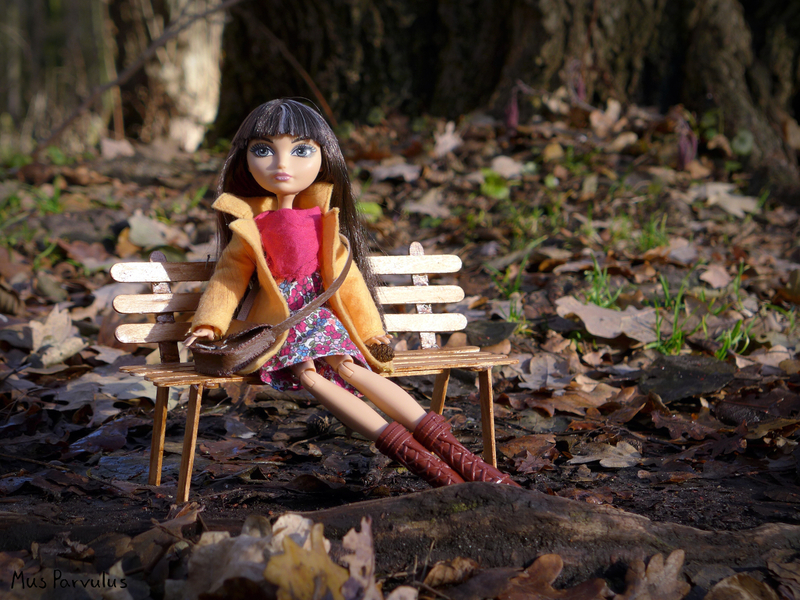 If you’d like a doll bench of your own, grab some popsicle sticks and follow this great tutorial on YouTube. However, my bench is double the width of that in the video – if you’d like yours to be wider as well, you’ll need to glue together two sticks (trimmed on one side to remove the rounded end) for each plank. 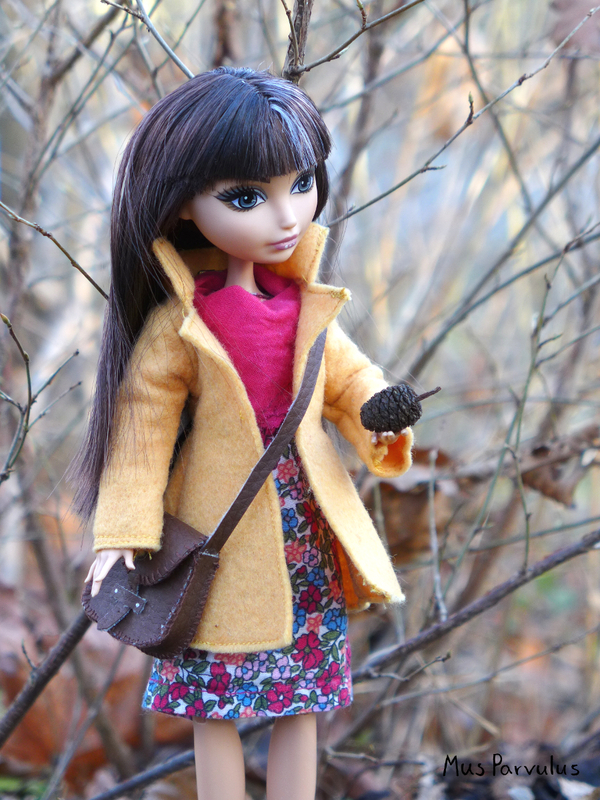 Going to the park in December I wasn’t expecting dried leaves and grass, but I guess I shouldn’t be thinking about this too hard and just be glad that nature let me catch up on autumn themed photos. Hopefully there will yet be time for winter sessions too.